RL Rosali is our IMBA Horse of the Year for 2016. Rosali was foaled in 2003, daughter of Windmere Royal Topaz, and is owned by Wes and Jane Licht of McFarland, Wisconsin. At first, Rosali was often mistaken for her famous Palomino Morab sire – until closer inspection, but soon she gained her own reputation. 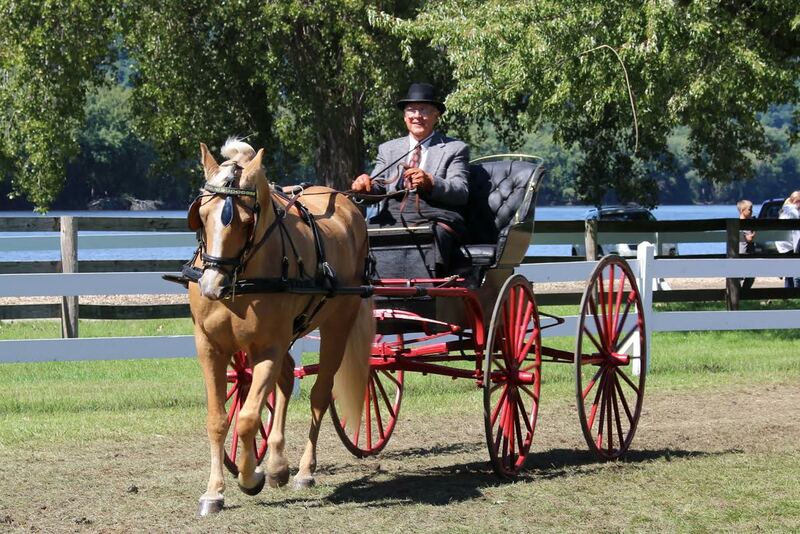 Rosali has won many blue ribbons at halter, driving in pleasure shows such as the Villa Louis Carriage Classic and the Columbus Horse and Carriage Festival, and in distance driving competition. She has been in the Mischka Driving Calendar twice, and on the cover of Our Wisconsin magazine. She is often paired with her Palomino Morab sister Gracie to give carriage rides for weddings, anniversaries, birthday parties, and other special events. They also pull the sleigh in winter at Rocking L Acres. Rosali is used as a lesson horse for youngsters and adults – both riding and driving. Because of her many activities, Rosali has won the silver IMBA Lifetime Achievement Award.